Program the Poison Help number into your phone for immediate assistance: 1-800-222-1222. Have you ever heard the phrase “one pill can kill”? It sounds frightening – the thought that one pill of a certain medication could cause death in a young child. The Missouri Poison Center recently discovered an outdated article on the web about this very topic. It was written by our team back in 2011 and provided a list of medications that were considered to be so toxic that even one pill could kill. Similar to technology, articles can quickly become obsolete. Since that time we have updated our guidelines with the most current and well-researched data. So is it still true…can one pill really kill? CAN ONE PILL REALLY KILL? There are definitely certain medications that are alarming in accidental exposure, especially in young children. These can cause serious symptoms that require immediate medical attention. However, it is just not that simple anymore. We no longer have a list that we consider fatally toxic in one pill. Instead of sending all ingestions of these high-risk medications to the emergency room, we have refined our approach. When you call the poison center, the specially trained nurse or pharmacist will gather all of the necessary information to make the best decision for your individual case. If a child has ingested a poison, you will be asked their weight. This allows the specialist to calculate the amount that would be toxic for them based on their individual size. Then, that calculation can be compared to how much they may have swallowed. We will quickly make a decision and let you know the next steps to take to keep everyone involved safe and healthy. Sometimes with accidental exposures, especially in children, the amount ingested is vague or unknown. In these situations, the specialist will often keep the child at home, instead of automatically sending the child to the hospital. Our goal is to keep you out of the emergency room if you don’t have to be there. Over the last few years, we have been able to watch more of our cases at home. Our specialists will give you symptoms to watch for and help you stay at home by following up with you until any risks have passed. 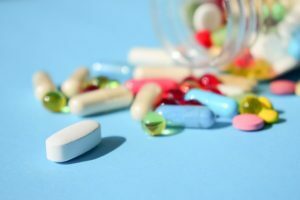 Although we may not have the same “one pill can kill” list, there are several medications and substances that should be handled with extra caution. Of course, all medications and chemicals should be kept up and out of reach of children – but there are some that have an even greater risk. It only takes a small amount of these products to cause serious symptoms in a child. If you have these substances in your home and have any questions, give us a call at 1-800-222-1222. For any questions or concerns about accidental ingestions for these or any medications, call the Poison Help line at 1-800-222-1222. Specially trained nurses and pharmacists are available 24/7/365 to answer your questions. The service is free and confidential.